1. 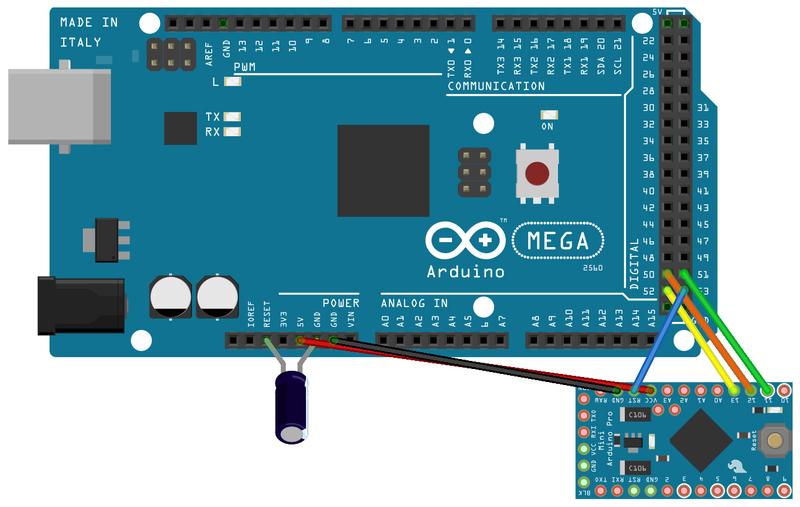 At the moment of this writing, I’m using Arduino IDE 1.5.8 – Make sure your Arduino IDE is closed. 3. Unzip this ZIP-file into your Arduino Sketch folder. It’s also necessary to create a boards.txt file. You can simply rename the “prospected boards.txt” to “boards.txt”. 4. Next, openup the example “ArduinoISP” (it’s included in the Arduino IDE) and put it onto an ATMEGA2560. Also connect a 10 uF capacitor over GND and RESET on the ATMega. 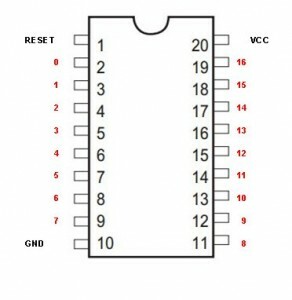 Set your board to “ATTiny4313 at 1 Mhz”. 7. Set your programmer to “Arduino as ISP”, and do “upload with programmer” from the file-menu in the Arduino IDE. 8. Connect a LED with cathode to GND and anode to real pin 16 of the ATTiny4313. the fuses of the ATTiny to the correct speed. 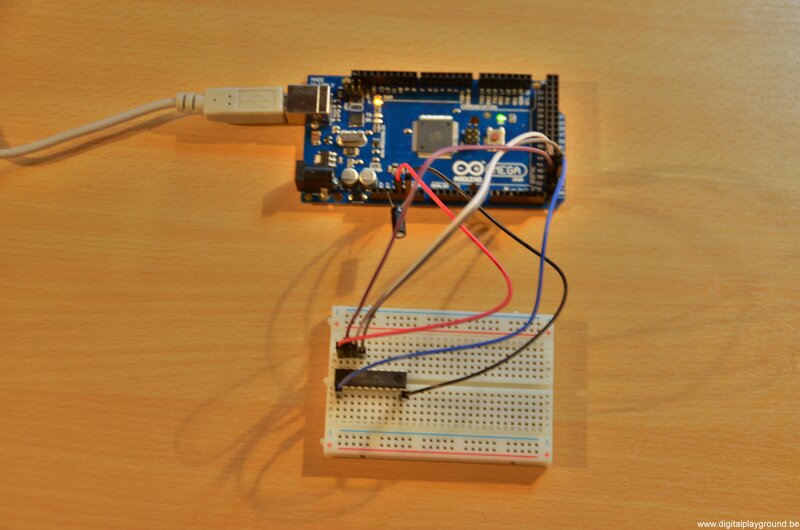 Note that the PIN usage within Arduino is not the same as the real pin-out of the ATTiny4313. See Picture 2 for the numbering. Also note that ATTiny2313 & 4313 are almost identical. Today I tried to program an Arduino Mini Pro. I followed my own tutorial from november 27th, 2013, but I got into trouble. that Mac OSX Yosemite only accepts signed drivers, I’m no longer able to use the “programming method” I used to use. Just like programming the ATTiny, I managed to use the same methodology for the Arduino Mini Pro.